The 2018 Southeast Asia Counter-Terrorism Symposium kicked off here Thursday, aimed at discussing ways towards greater concerted efforts against terrorism. Malaysian Prime Minister Mahathir Mohamad said on Thursday (Oct 4) that the Asean Committee on Disaster Management (ACDM) has a major role to play in coordinating and extending assistance and support to Indonesia in the aftermath of the devastating earthquake and tsunami that hit Sulawesi last week. The United States will unveil next month during the Association of Southeast Asian Nations (ASEAN) and Asia Pacific Economic Cooperation (APEC) summits new measures to support an open Indo-Pacific region, US Vice President Mike Pence said during a speech at the Hudson Institute on Thursday. 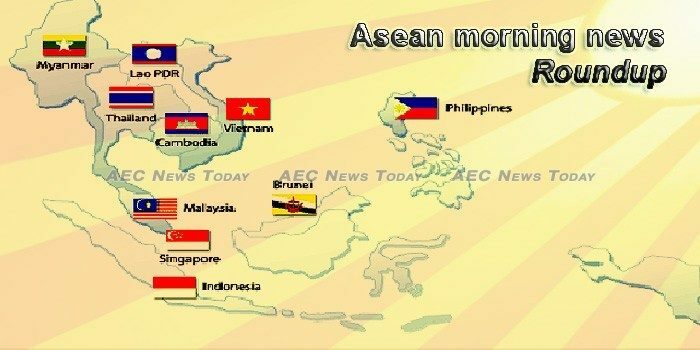 In light of significant reductions in tariffs between ASEAN members and the steady harmonization of regulation through the ASEAN Economic Community, regionally oriented value chains have risen significantly in terms of profitability. Ministers and senior officials from Asean countries met in Singapore on October 3 at the 20th Asean Socio-Cultural Community (ASCC) Council Meeting and related meetings to discuss the Enabling Master Plan 2025 and towards becoming smart cities. The government of Germany has committed EUR 4 million (approx. US$ 4.6 million) to the Mekong River Commission (MRC) to strengthen Mekong cross-border water cooperation. Singapore can play an “important role” in cybersecurity for the Southeast Asian region, particularly in the area of thought leadership, said FireEye CEO Kevin Mandia on Thursday (Oct 4). The first image that usually springs to mind when someone mentions any Southeast Asian capital is congested roads filled with honking cars and motorcycles. Congested roads have become synonymous with Southeast Asia, and that is not going to change anytime soon. MYANMAR’S neighbours in Southeast Asia have urged the country to hold those responsible for the Rohingya crisis “accountable”, Singapore said Tuesday, in a rare call for justice from within the region. President Joko “Jokowi” Widodo is slated to attend various meetings with his counterparts from ASEAN member states as the Indonesian leader hosts the International Monetary Fund-World Bank Group (IMF-WB) annual meetings on the resort island of Bali next week. Grab and deals platform Fave – formerly Groupon Singapore – have formed a strategic partnership to speed up their growth across the Asean region. Cambodia’s garment exports grew 16.1 percent in the first half of 2018 from the same period last year, the World Bank said on Thursday, boosted by a trade agreement that allows Cambodia to export travel goods to the United States duty free. According to Cambodia’s government figure, LPG consumption grew at rapid rate of 23% in 2017. Cambodia is one of the fastest growing countries in the world. With an average growth of more than 7%, it is slowly transforming itself from being one of the least developed countries to one of the most rapid and fast growing economies in the region. Cambodia imported about $15 billion worth of gold during five years from Singapore, according to government statistics compiled by nongovernmental organization Mother Nature Cambodia — a figure so large, corruption monitor groups say it raises alarms about potential financial crimes, particularly smuggling. Vice President Jusuf Kalla announced that foreign aid from three countries for the victims of Palu and Donggala earthquake and tsunami have started to arrive. Jakarta. Officials estimate that the total losses from last week’s earthquake and tsunami in Central Sulawesi will likely surpass $658 million, making it one of the costliest disasters to have hit Indonesia in the past five years. International Development Secretary, Penny Mordaunt, has today (Thursday, 4 October) announced that the UK will provide further assistance to those affected by the earthquake and tsunami, by aid matching the Disasters Emergency Committee’s appeal. Laos’ economic growth of expected to reach 6.9 percent in 2019-2020, according to the latest World Bank (WB) economic report on the region. In the past few days, digital technologies such as artificial intelligence, big data, and blockchain have become high-frequency words of the 20th China International Fair for Investment and Trade. Foreign travellers including Thai border pass holders are already paying the USD1 travel tax to cross the border between the Thai riverside town of Chiang Khong and Houay Xai in Laos. The new national car project is expected to roll-out its first model before 2020, said Entrepreneur Development Minister Mohd Redzuan Yusof. Malaysia’s economy is projected to expand at 4.7% in 2019 and 4.6% in 2020 despite challenges, while the country is expected to achieve high-income nation status at some point between 2020 and 2024, says the World Bank. Malaysia Airlines and Jet Airways have announced a codeshare agreement expansion, offering guests a wider network of destinations. A minister in the Yangon Region government has issued a reminder that sitting while the Myanmar national anthem is played in cinemas is illegal, and those who do it will face a prison sentence of up three years in prison, plus the possibility of a K300,000 fine. The Directorate of Water Resources and Improvement of River Systems and Japan International Cooperation Agency signed an agreement worth 6,033 million yen in grant aid for a Mandalay port construction project on Wednesday. Elephant skins, clouded leopard remains and tiger bones were among a USD1.3 million haul of illegal wildlife incinerated yesterday in Myanmar’s first ever public event of its kind against the illicit trade. The World Bank trimmed its growth forecast for the Philippines in 2018, but said the Philippine economy will remain resilient in the face of elevated inflation. THE Land Bank of the Philippines (LandBank) is extending at least P300 million in loans to Northern Luzon farmers affected by Typhoon Ompong to help them recoup their losses. The national government is losing billions of pesos in tax leakages to firms that possibly exploit the country’s convoluted corporate income tax (COT) system and abuse transfer pricing schemes, the Department of Finance (DOF) said yesterday. A total of S$131 million was disbursed in the last financial year to about 79,500 beneficiaries of the various ComCare schemes, with the number of households receiving such assistance increasing over the past five years. THE tally of big-ticket property transactions of S$10 million and above across all sectors tumbled 42 per cent to S$6.5 billion in the third quarter from S$11.2 billion in Q2 – after the July property curbs put the brakes on residential collective sales. Foreigners living in Singapore, including foreign workers and maids, will be limited in the amount of money they can borrow from licensed moneylenders. Thailand’s economy will grow 4.5 per cent this year, 0.4 percentage points higher than forecast in April this year, the World Bank said on Thursday. The Thai National Shippers’ Council (TNSC) has given an upbeat review of the country’s trade growth, expecting 9% expansion for the year. Consumer confidence fell for the first time in four months in September, as people were more concerned about the impact of higher oil prices, relatively low farm prices, an escalating international trade row and the slow pace of economic growth. Since the Vietnamese Government and Italian contractor AGIP signed the first production sharing contract in 1978, foreign direct investment (FDI) in the oil and gas sector has not only brought large revenue to the country but also laid important foundations for the sector to develop strongly. Earnings from fruit and vegetable exports in the first nine months of the year reached US$ 3.1 billion, a year-on-year surge of 17.1%, according to the Ministry of Agriculture and Rural Development.